Unlike Tijuana, Ensenada is a laid back coastal city on the best coast of Mexico, the Pacific seaside. It’s roughly 10 miles south from Tijuana and is claimed to be the oldest city in Baja California. You can find remnants of their vibrant cultural history throughout Ensenada. There are so many outdoor activities to do, people who enjoy the sun and surf won’t regret visiting Ensenada. Especially Ensenada restaurants. Not only is the location amazing for outdoor sports, but the seafood in the area is a true delight. You will find the best local seafood Ensenada restaurants serve for half the price compared to touristic Tijuana. We’ve highlighted the best Ensenada restaurants to go to for surf n’ turf and regional Baja dishes. Don’t miss your chance to visit one of the greatest seaside towns in Baja California! 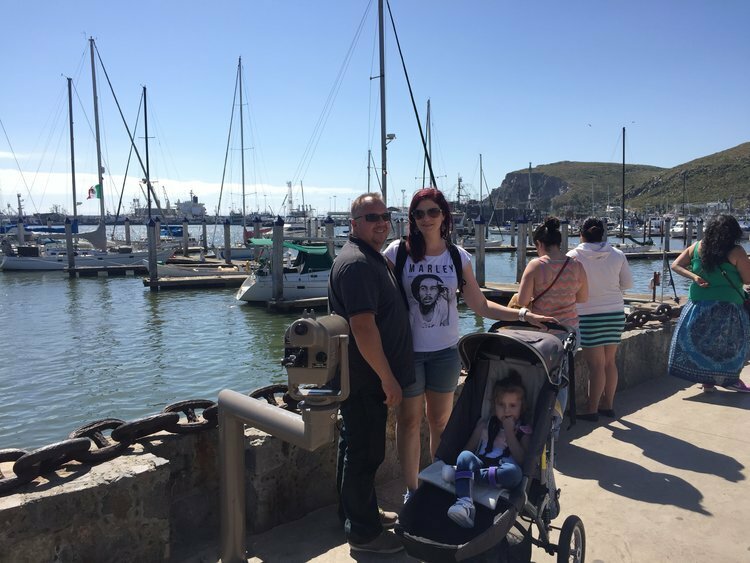 Our guests enjoying their Ensenada tour. 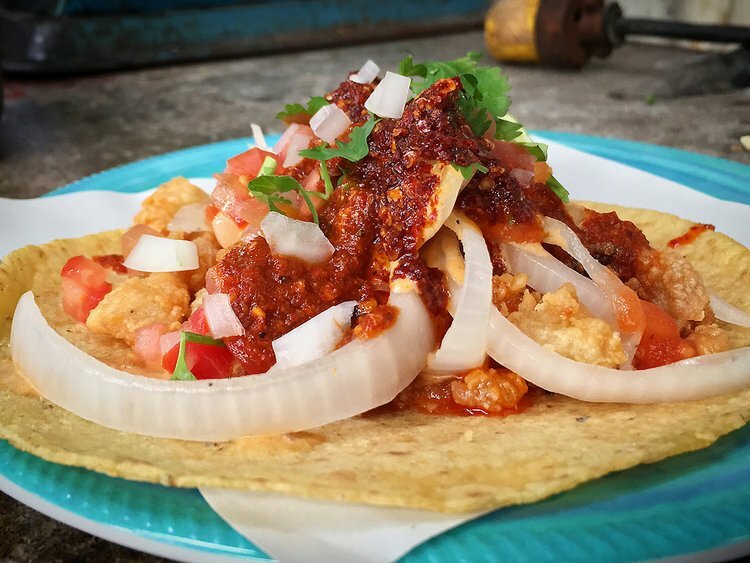 Thanks to Anthony Bourdain and foodies around the world, this local food cart has grown famous in Ensenada! For the freshest seafood ceviche and delicious homemade tostadas, you won’t want to miss having a meal at La Guerrerense. The woman who runs the food cart with her family is often there and you can even request to take a picture with her! 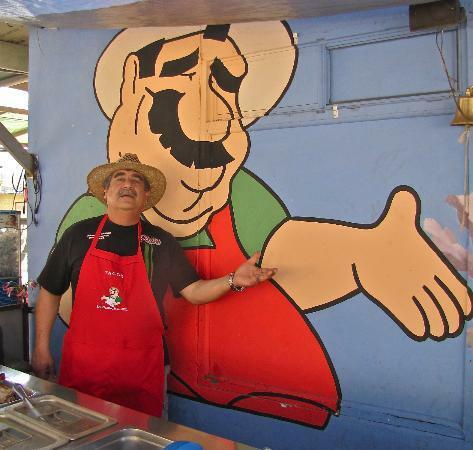 This cart is named the best place to eat in Ensenada based on the TripAdvisor and Yelp reviews. 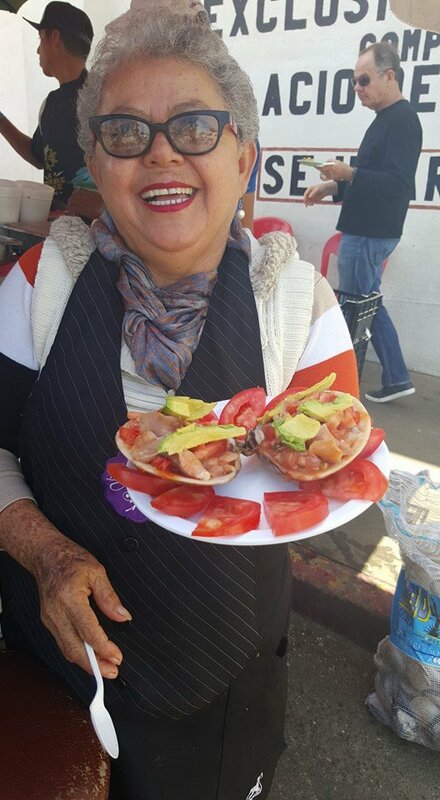 Owner and Chef, Sabina Bandera, serving her famous tostadas! Everyone who goes raves about the dishes and the unique set up. Once you order your food, you don’t pay until after you’ve finished eating. This is not only a special honor system, but it’s also a good way to get you to order another round (which everyone seems to do)! If you’re looking to dine at a more fancier restaurant where you can sit and relax, check out Punta Morro. This is one of the best sit-down Ensenada restaurants in the city. Not only do visitors fall in love with the gourmet plates, but they can’t take their eyes off the gorgeous view. Punta Morro sits on top of the coastline providing an excellent view of the sea. If you’re looking for a romantic place to watch the sunset, you’ll definitely want to reserve a table here. The offerings on the menu not only include seafood, but also steaks and delicious pasta. They also provide vegetarian entrees and a variety of healthy salads. This is another popular seafood food cart that is best known for their shrimp cocktail! 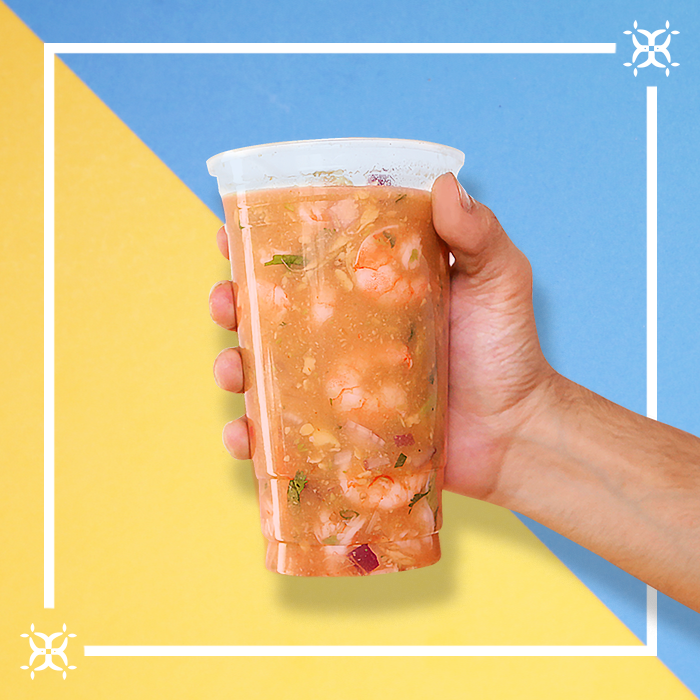 The fresh shrimp is mixed in a tomato base that is seasoned with cilantro, fresh squeezed limes, lemons, onions, avocados, and other secret surprises. Visitors also express their admiration for Mariscos El Guero’s fish tacos. 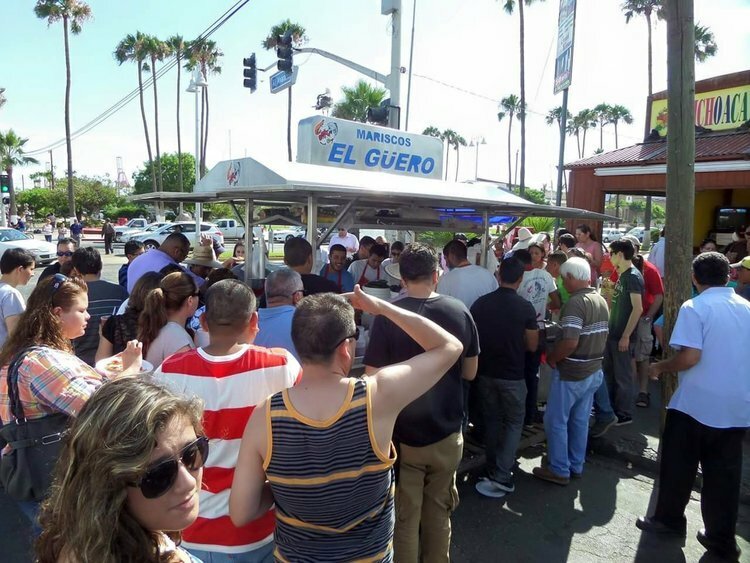 Due to the cart’s popularity between locals and tourists, expect a crowd at Mariscos El Guero during lunch time and dinner time hours. Be aware, this cart closes at 6pm, so get there before it’s too late! If you’re looking to go to a place that only Ensenada locals know about and to experience a true Mexican diner, head to Tacos Marco Antonio. The restaurant space used to be a tool shop before it was converted into a seafood tacos and tostada kitchen. It acts like a food cart yet they provide tables and chairs to sit at. 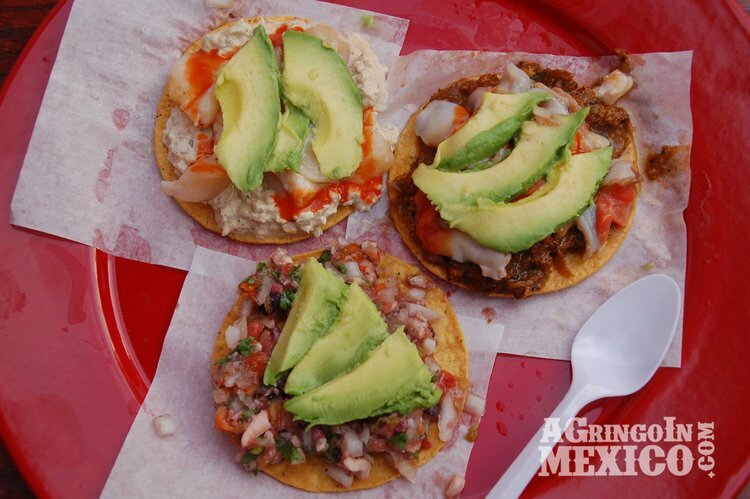 You’ll find local prices and Ensenada families treating themselves to the best regional dishes. You won’t find a more authentic vibe anywhere else but here. Order the marlin and shrimp burrito or the vaso special if you go. You also can’t beat the Taco Marco Antonio’s homemade tostada! Address: Av. Rayon, Ensenada. Between Calle Tercera and Cuarta y o Mutualismo. 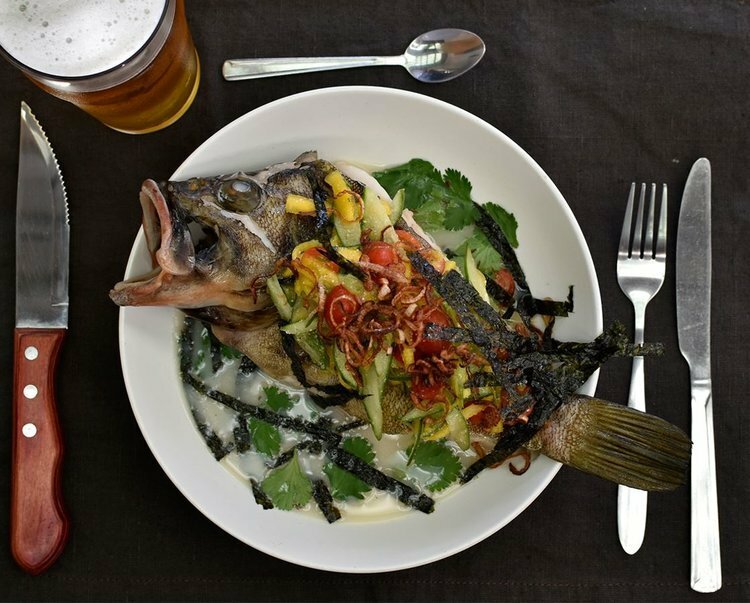 Mantou is unlike any restaurant in Ensenada since they serve each dish with a cultural twist. 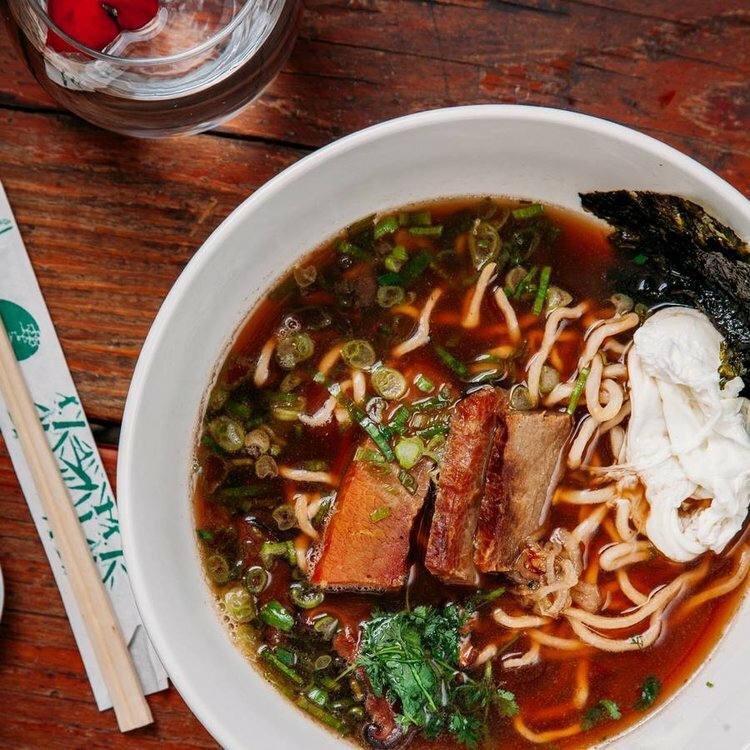 You’ll find foods such as steam buns, sashimi, and ramen on the menu; alongside traditional rib-eye, octopus, and french fries with ketchup and sriracha sauce. Everyone who goes has no complaints about the fusion styled food and loves the cozy atmosphere. This is a nice dining experience if you’re looking for a restaurant to relax and take your time. They also serve excellent wines and cocktails. 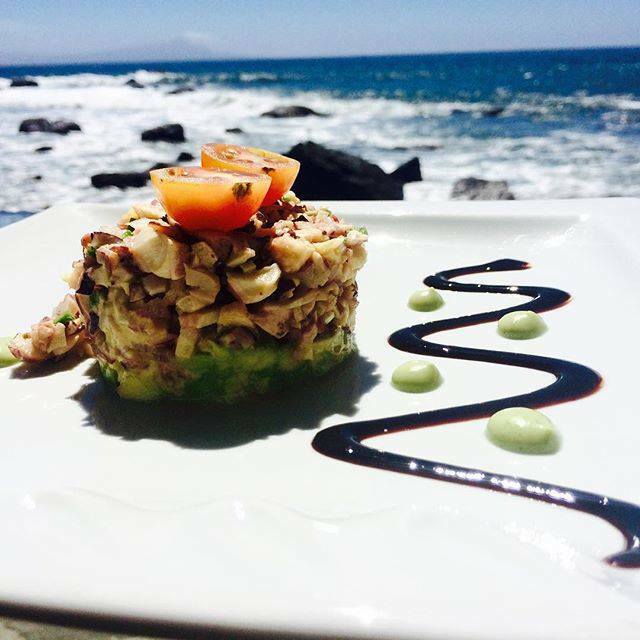 We hope you enjoyed our list of the best local restaurants within Ensenada. For dessert, we suggest visiting the amazing Ensenada ocean and grabbing a cold margarita. You also can’t miss the shaved slices of coconut mixed with chili pepper spices for a sweet and spicy treat. 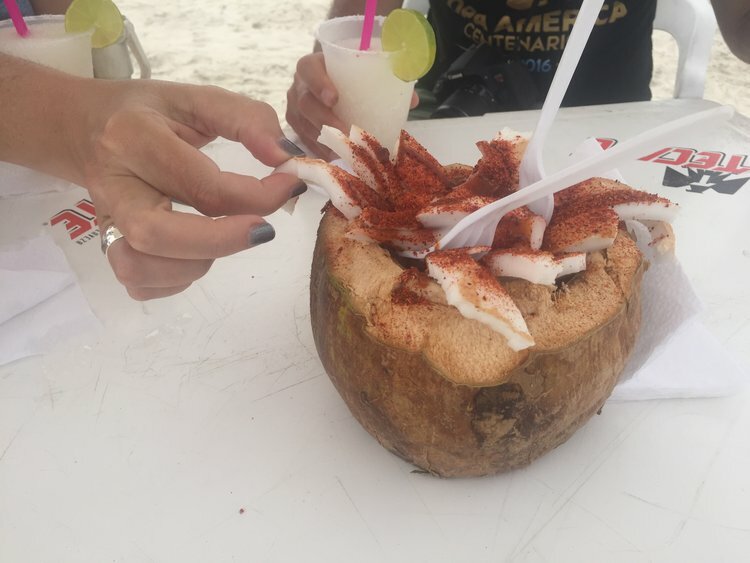 Our guests enjoying margaritas and snacking on spicy coconut slices on the Baja coast. 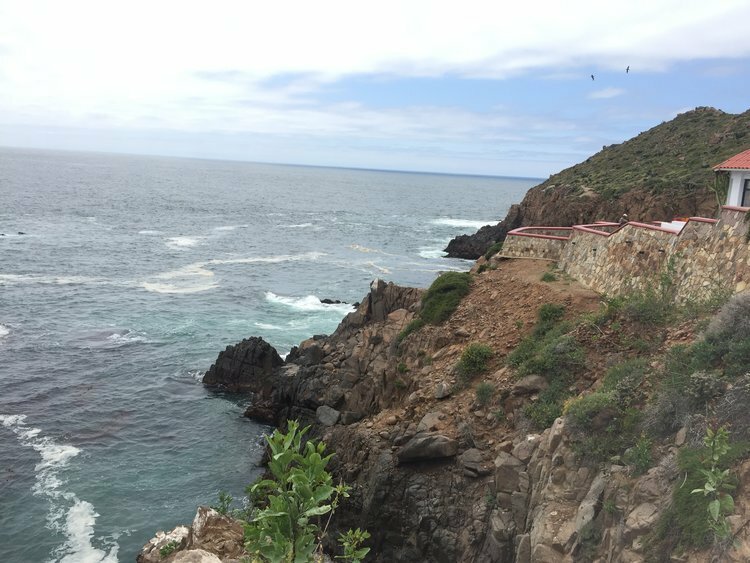 Why not take a grand tour around Ensenada? Baja Winery Tours provides custom private tours so you can pick and choose which destinations you want to go to. View more of the special tours we offer, and feel free to contact us with any special requests. We hope you enjoy your visit throughout Baja California! Don’t skip Ensenada!